After Sara accepted a job teaching in Odessa, Texas, the first thing we did was determine where the nearest national park was. 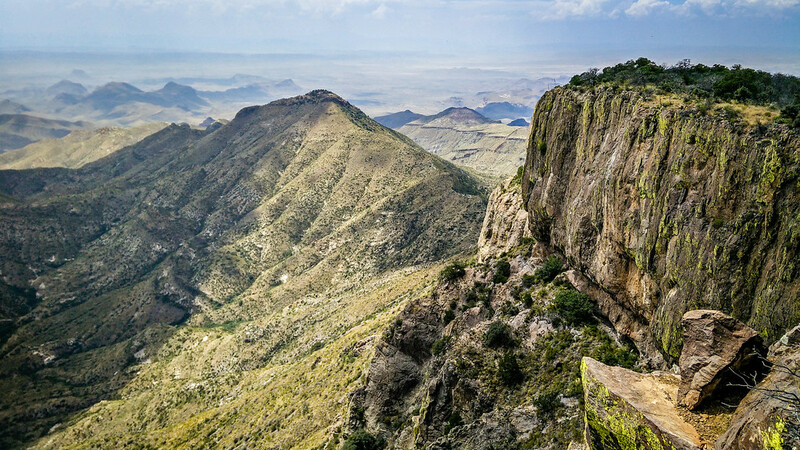 Less than a three-hour drive south of Midland / Odessa, on the border between Texas and Mexico, lies Big Bend National Park. Big Bend is Texas’ largest National Park and the 15th largest National Park in the United States at over 800,000 acres. 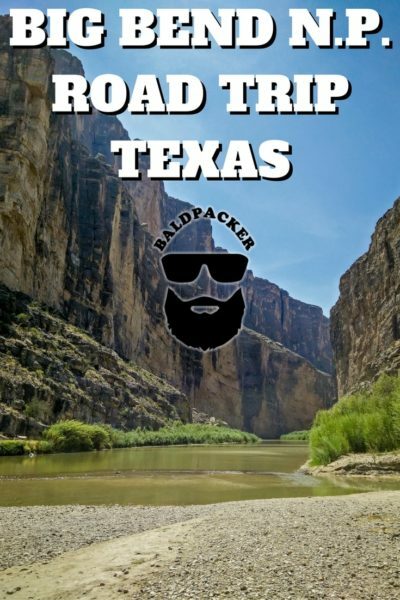 We spent two separate long weekends in Big Bend and this post contains my suggestions for the best driving itinerary and things to do in Big Bend. 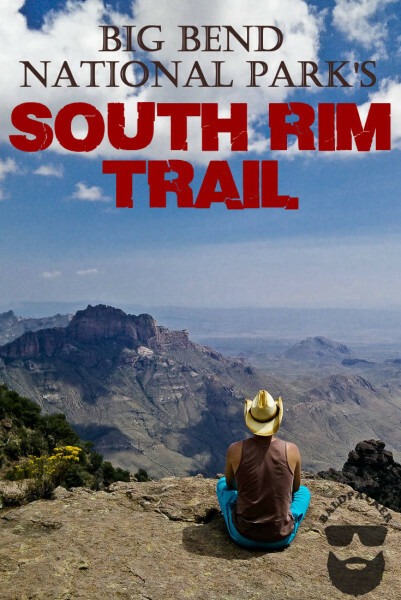 The South Rim Trail is an extremely popular hike in the Chisos Basin Mountains of Big Bend National Park. It can be hiked over a looong day from the Chisos Basin Visitor Center but, not wanting to rush, we chose to hike the South Rim Trail as part of a three-day backpacking camping trip. 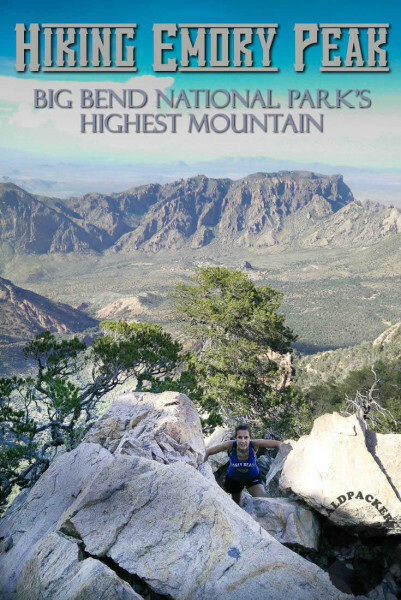 Emory Peak is the highest mountain in Big Bend’s Chisos Mountains at 7825′ (2385M). The peak is named after William Emory, chief surveyor of the 1852 U.S. Boundary Survey team. 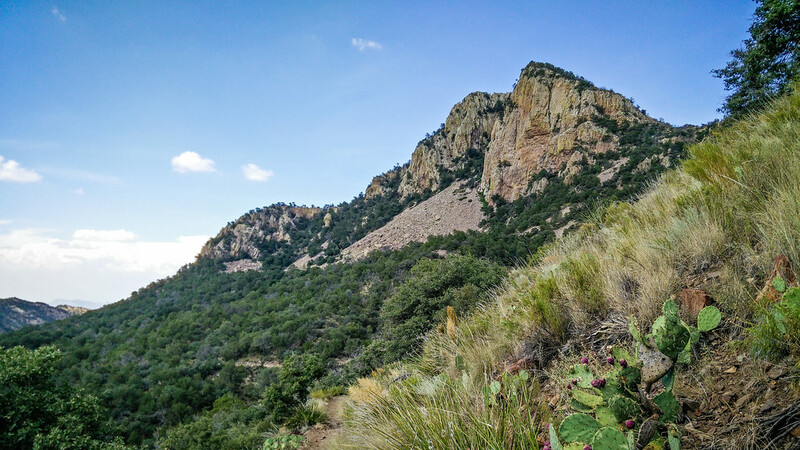 From the Chisos Mountains Parking lot, it is approximately 3.5 miles (5.6 km) up the Pinnacles Trail until the trail branches off towards Emory Peak. 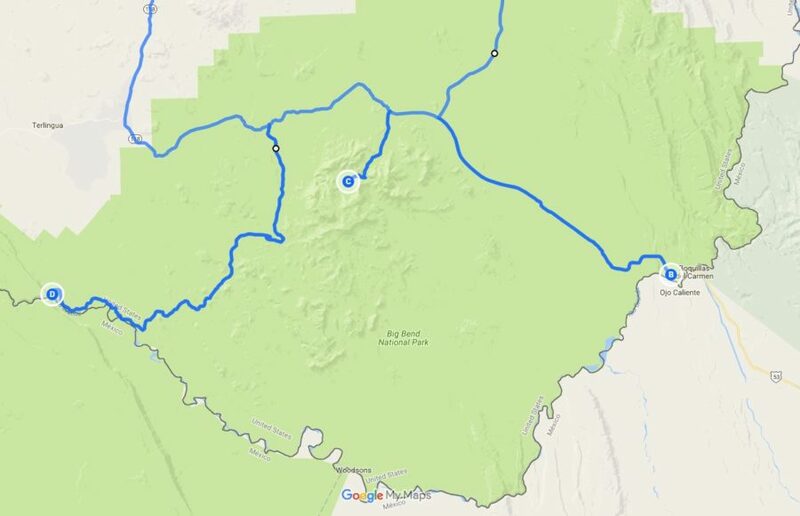 That means Emory Peak is possible as a 10.5 mile (17 km) day trip. I personally believe it makes more sense to overnight in the backcountry given the long drive to and from Big Bend Park.